U.S. government missions operate on a worldwide scale, which is why they continue to rely on Inmarsat and its global trusted network. Global Xpress is the first and only commercial wideband network that spans the world, offered by a single provider. Available and in use by governments in all three-ocean regions, Global Xpress delivers the benefits of highly reliable, high-throughput satellite capability to respond to mobile, interoperable communication needs. Combining global coverage and military satellite communications (MILSATCOM) interoperability, Global Xpress provides a cost effective complementary solution for government users. Alongside their MILSATCOM resources, government users can now efficiently extend their wideband coverage, increase capacity, flexibility and resiliency, without investing in additional satellites or new terminals. Inmarsat provides Global Xpress as an end-to-end managed service everywhere – delivered by an ecosystem of our world-renowned partners. This unique ‘SATCOM as a Service’ capability offers mobile high-throughput connectivity the way you need it: simple, affordable and operationally available – anywhere, anytime. Global Xpress terminals are easy to use, with committed information rates throughout the world. Today’s highly mobile wideband military users need more than “up to” data rates to support their operations. Global Xpress delivers guaranteed, “at least” data rates for individual mission requirements at a moment’s notice. Global Xpress terminals connect to the world’s only global Ka-band service, offered by a single provider, built from the ground up to service government end users and their critical mission needs. Global Xpress high capacity beams operating in the military Ka-band allow NATO and AUSCANZUKUS users to access wideband capacity as part of their own independent network, in the same frequency band as national systems like Wideband Global SATCOM (WGS). On the ground, in the air or at sea, Department of Defense (DoD) users can steer their capacity anywhere in the world to seamlessly augment their WGS coverage. They can connect their same mil-Ka SATCOM terminals, using any DoD-certified waveform, to the same destined Point of Presence, or through Inmarsat-provided Global Xpress secure enclaves. Wherever the next mission arises, Global Xpress has you covered with a network that is owned and managed 24/7/365 solely by Inmarsat, the U.S. government’s #1 trusted provider of mobile satellite services. Purposely designed for mobility, Global Xpress provides a continuous, consistent service anywhere in the world – on land, at sea and in the air – as traffic is handed seamlessly across each spot beam. Because Global Xpress users are always near the peak of one of worldwide beams, the service delivers consistently higher performance. And when there are surges in demand, Global Xpress can direct its spot beams to provide more local bandwidth than any other commercial satellite system. In fact, Global Xpress boosts speeds up to 100 times faster than Inmarsat’s standard L-band service. Global Xpress provides a high quality of service that is guaranteed to support the most critical government missions today and in the future. Inmarsat is the gold standard for safety services—we have operated the most reliable commercial mobile satellite communication network for more than 35 years, and quality of service is fundamental to our business. Global Xpress offers unprecedented throughput for worldwide mobility supported by a global, fully redundant ground infrastructure for resilience. 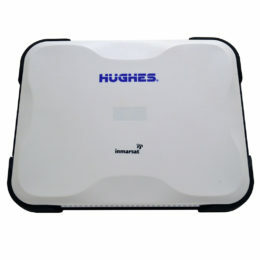 When Global Xpress is complemented in a hybrid offering by our L-band services on the Inmarsat-4, which deliver over 99.9% network availability, the combined capability offers a unique blend of high throughput as well as the industry’s highest all-weather availability. Inmarsat offers customers the only worldwide network that combines the best mobility technologies in Ka- and L-band to meet the most challenging mission requirements. Global Xpress represents a cost-effective approach to wideband, providing high-performance Ka-bandwidth to affordable compact terminals at a lower cost than existing VSAT services. In addition, our ability to deliver Global Xpress as an end-to-end managed service often translates to additional cost savings for government users. Global Xpress is built on Inmarsat’s trusted worldwide satellite and terrestrial infrastructure. Together with our valued partners, we ensure that you have the connectivity and capacity you need when and where you need it. Global Xpress is the only worldwide commercial satellite network that is fully interoperable with MILSATCOM Ka-band networks. Built purposely with additional capabilities specific to government and military users, our worldwide service seamlessly complements the Wideband Global SATCOM (WGS) network and allows government users to supplement their capacity using existing WGS-certified terminals. Global Xpress provides the desired flexibility and cost-efficiency, allowing U.S. government to augment its system when needed, without any up-front commitment. Inmarsat’s U.S. government users can trust that our secure network infrastructure brings reliable assured access that is built to meet cybersecurity best practices, with support by a dedicated cybersecurity team. Global Xpress commercial services and infrastructure are engineered to meet U.S. DoD 8500 Mission Assurance Category (MAC) level III/ National Institute of Standards and Technology (NIST) 800-53 Low Assurance standards. Global Xpress secure enclave and network can be built to meet higher security standards requirements. Global Xpress delivers wideband data rates through compact and affordable, commercially available terminals as well as existing MILSATCOM terminals in your inventory. A broad selection of easy-to-use terminals are available in mobile, portable and fixed formats from industry-leading manufacturers for expeditionary, aero and maritime environments in both commercial and military form factors. Global Xpress is the first global Ka-band network and has been built specifically with government customers in mind. It delivers secure, end-to-end wideband connectivity for seamless airborne, naval and land operations worldwide. And it comes from a trusted supplier that’s been serving government customers with mission-critical communications for over 35 years. Here are just a few ways organizations can use Global Xpress for their land and off-shore communications. Inmarsat Global Xpress is the first global, high quality, high-speed broadband network service in the sky, provided by one operator, available wherever you fly. Delivered over Inmarsat’s new, fully owned, fully operated I-5 constellation, it brings tomorrow’s connectivity to the cabin today. With Inmarsat’s GX Aviation network, airlines and their passengers can access a first-class consistent and reliable service at all times, over a connection that doesn’t cut off. Our single network provides a seamless handover, backed up with a two-receiver antenna technology system to ensure the connection to the aircraft is never dropped. Global Xpress is part of our commitment to continuous investment in technologies that will always keep our customers and partners at the forefront of the connectivity revolution. GX Aviation has been designed to adapt to the technology of the future, whatever shape it might take, with the flexibility to meet increased demand over traffic hotspots. Together with our complementary portfolio of services, such as the European Aviation Network, it delivers a long-term cost effective solution that is tailored to your specific needs. Operating in the resilient Ka-band, while integrating seamlessly with our proven L-band network, Global Xpress allows customers to have reliable and assured access to high-throughput communications. With Cisco, we have also developed the Inmarsat Gateway that delivers a platform for a whole new world of innovative, content-rich applications – developed by our Certified Application Partners – tailored to meet Global Xpress users’ needs.